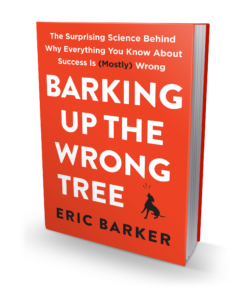 Eric Barker’s humorous, practical blog, “Barking Up the Wrong Tree”, presents science-based answers and expert insight on how to be awesome at life. Over 300,000 people subscribe to his weekly newsletter and his content is syndicated by Time Magazine, The Week, and Business Insider. He has been featured in The New York Times, The Wall Street Journal, The Atlantic Monthly, and Financial Times. 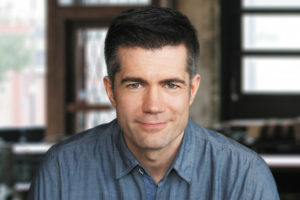 Eric is also a sought-after speaker and interview subject, and has been invited to speak at MIT, Yale, West Point, the University of Pennsylvania, NPR affiliates, and on morning television.